TAG Toys has several different chalkboards, stand-up easels, and dry erase boards that are designed for use by kids in schools & Montessori’s, day care centers as well as in kids own rooms and family recreation areas. The Four Way Table Top Easel is a desktop solution and has a tray to hold art supplies pencils, paint and other arts and crafts items. 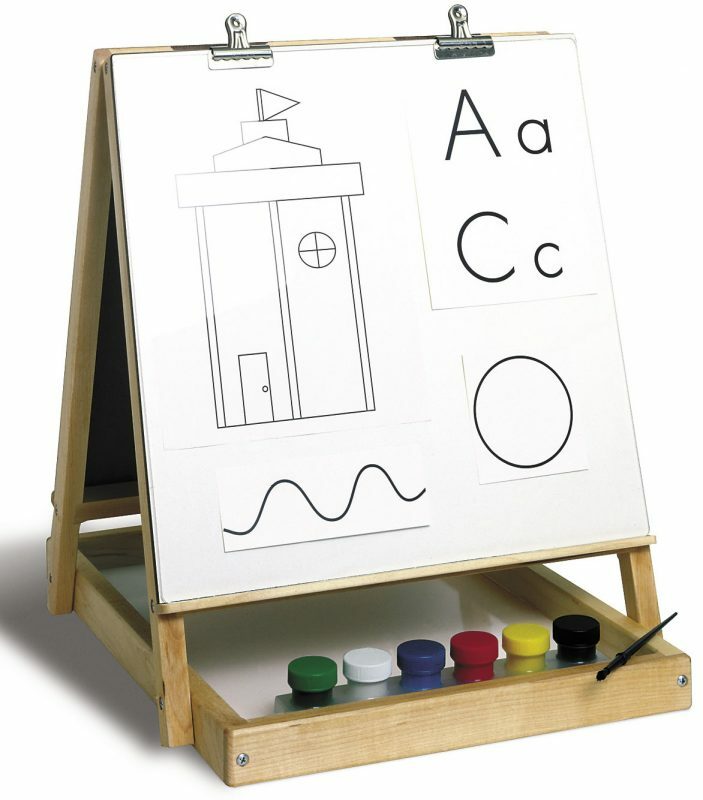 This large sturdy table-top easel has a chalkboard and write and wipe surfaces, and can be used with trace and erase tools or by clipping paper to the frame. The art set includes chalk, paint set and brush, plastic overlay and 2 spring clips for holding paper. For homes where there is more space TAG Toys also has a Traditional Stand-up Art Easel with a large painting area and chalkboard as well as an oversized lower lower tray that helps keep paint supplies, and other arts and crafts materials in one place. And finally for family rooms where there is very little, or virtually no space available, the TAG Toys Lap Board, a reversible chalkboard/write-and-wipe board can still be used for making drawings, or playing simple family games. Join the Conversation, ask TAG Toys a question on Facebook. This entry was posted in Childhood, Childhood Development, Children, Education, Kids, Pre School Kids, Toddlers, Toys, Uncategorized and tagged art set, chalkboard, crafts, easel, painting, play, remodeling.